We love cats and people who love cats. That's why our clients trust us with their precious family members for boarding and grooming. 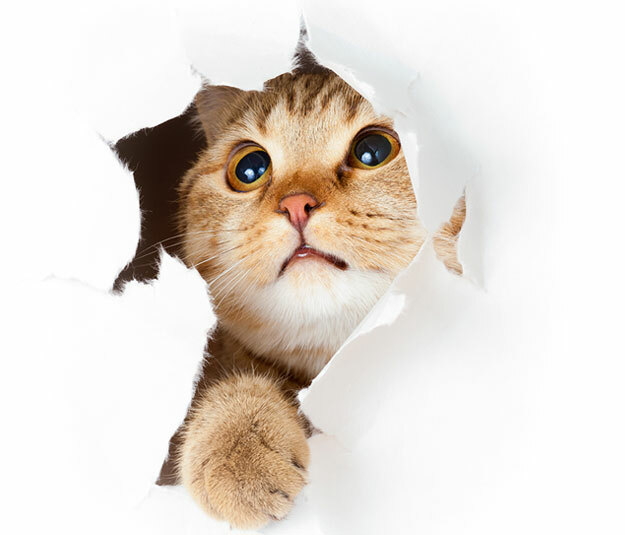 At California Cat Center, we feature individual, personalized luxury boarding, grooming and other services for your favorite feline friends. Our boarding is simply the best-- Extra-large condos and cage-free suites with live bird entertainment, individual play time and lots of love. Featuring Live Entertainment: Flying finches for feline birdwatchers! Gentle flowing fountains clean the air while finches sing for the feline guests. "Wonderful, kind people. Did a great job on my kitty's lion cut, and they even sent a nice handwritten card after. The facility is amazing- ask for a quick tour!" "I had a very good experience with my cat being groomed. Reasonable prices, great care and consideration for my kitty. It's not fancy or in a hot location, but that reflects in the price. I also really liked the pet hospital. There is absolutely NO smell in the place, which means it's really clean! "I have boarded my cat (and a previous cat) with California Cat. The place was spacious and clean. I like that they have birds for the cats to watch plus they let my cat get out of the kennel sometimes to stroll around (they let the cats take turns). The employees were kind, and my cat(s) were well cared for." "Monica was amazing! She clipped my cat's nails immediately! She was very gentle and sweet!" "California Cat Center is a life saver. I was always worried about leaving my cat alone when I go on trips, but thankfully I found this place. I've left my kitty at California Cat Center several times now, and she gets a large room to play around in, birds to entertain her, and people to pet her and pay attention to her. It's a very clean environment, everyone who works there is very nice and really loves cats, and I can definitely trust them to take good care of my cat." "This place really is amazing. I didn't know what to expect at first, but they totally put my mind at ease and are the most caring lovely people who genuinely love cats and care about them! 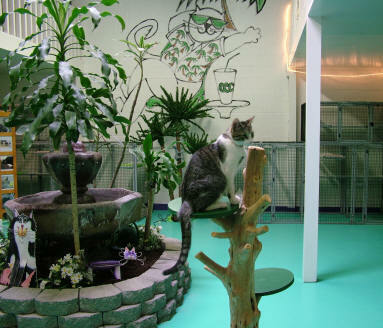 The facilities are great and they have a big outdoor area also, my kitty thoroughly enjoyed himself here and this will be the first place I bring my cat back to when I go away again! Thank you California cat center!"